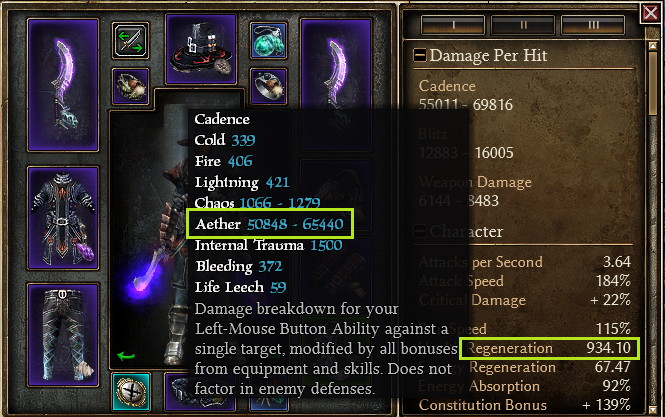 After playing for a while with Dual Wield Ceno's Zenith's Skirmisher (Zenith is really Cool ), it has nice synergies between Aether and Lightning. Back to the topic, in this build we make use of nice synergy between Aether and Lightning in devotion constellations. 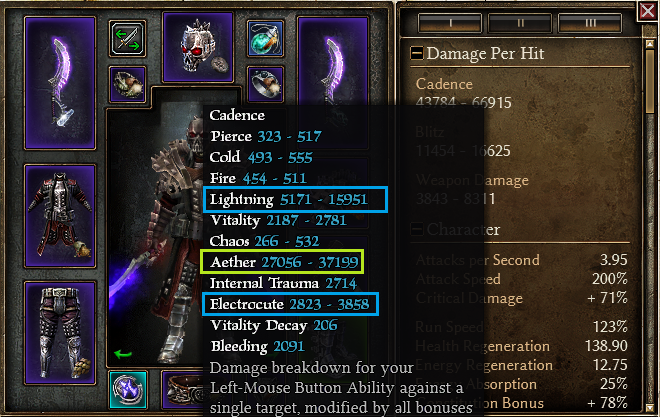 Aether damage we get from Physical to Aether conversion with dual Mindwarp, and Lightning damage from Shaman and Devotion skills. Now Mindwarp has 100% up time when attack, converting physical to aether. It's not 100% physical to aether conversion like the old one (I used to play Dual Wield Cadence Aether/Physical Witchblade with old Mindwarp). So we need 2 mindwarps for getting more aether. Also Wrathstone component adding up the conversion. Since Aether - Lightning has good synergies in Devotion, so Warder with Lightning Support is nice choice to go. 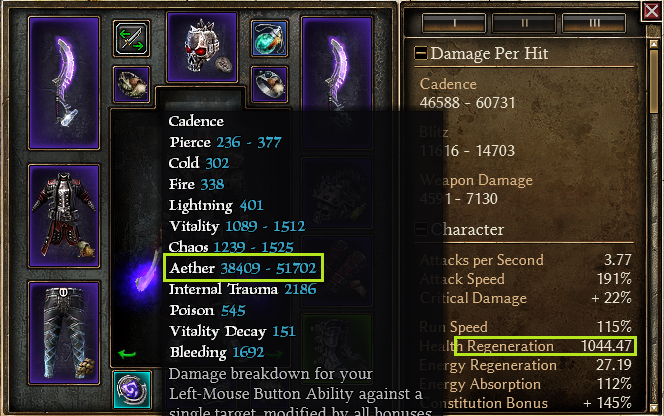 For Aether focus build, we go to Dual Wield Battlemage or may be Witchblade with Chaos to Aether Conversion. Different from Lightning Elementalist, Trickster, or Warder that use Savagery as main attack, this time I use Cadence with Deadly Momentum as source of Physical damage for Aether conversion. These setups using no MI's, have more OA and DA than the previous ones. The Exalted Treads can be crafted at BS, if you have better luck, you may get the better one. 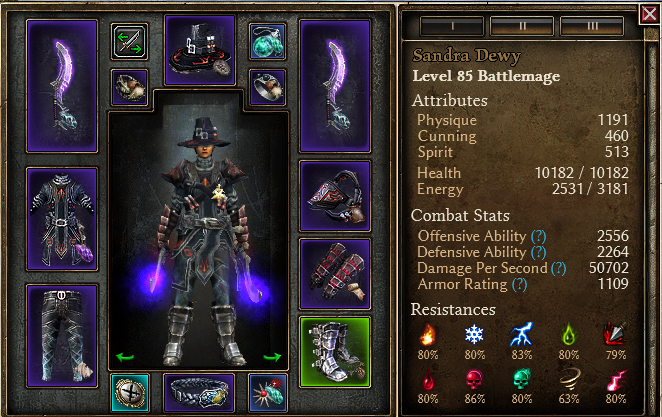 Mine only Stonehide Exalted Tread. Chausses of Barbaros can be subtituted with Stormcage Legguards. These setups is using one MI (Bysmiel-Sect Legguards) for capped the poison resistance, have nice AoE from Reckless Tempest, Spear of the Heavens, and Elemental Storm. You can change the Oleron's Blood to Wrathstone in the second Mindwarp for more Aether conversion. 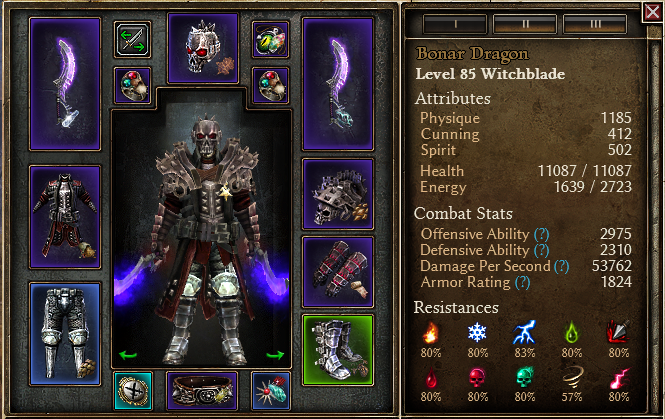 This is DW Aether Battlemage version using Warbon gear. Has more Aether conversion from Arcanist Reckless Power. 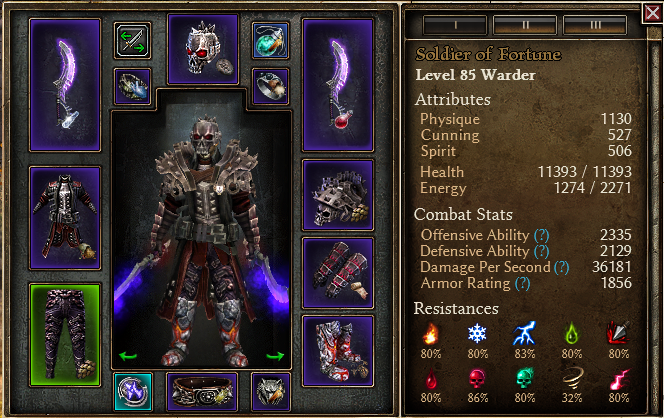 In this Warborn Battlemage version I only use one Wrathstone on weapons, so the conversion is < 100% Aether conversion. I used to play Aether Witchblade with old mindwarp. Now with new mindwarp that has 100% uptime when attack, we don't have to wait the Mindwarp's procs to cooldown. 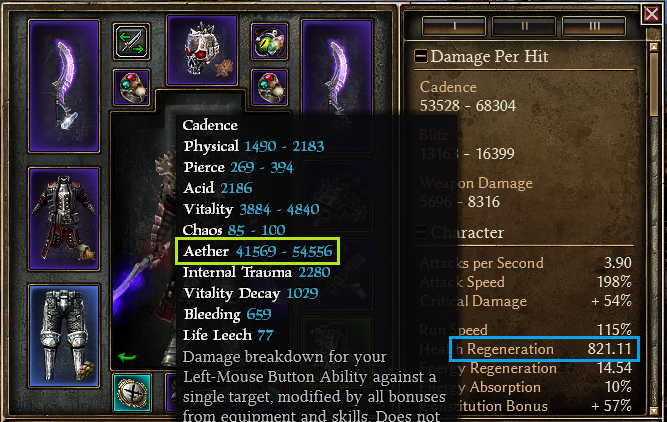 Aether damage got nice attention since 1.0.0.7 when aether resistant of certains mobs had been reduced. 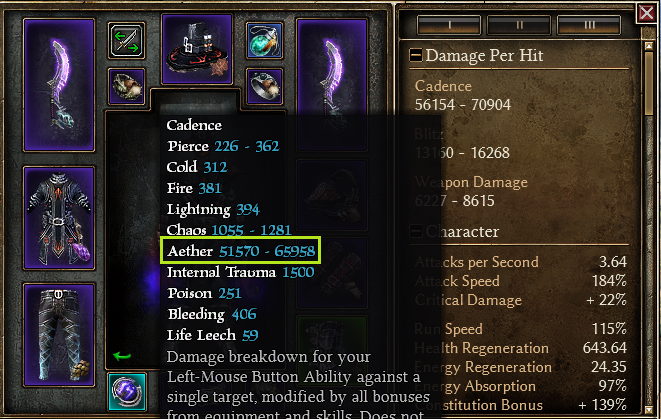 Here is an example of Aether Melee builds using chaos to aether conversion. In this Witchblade version, I use dual Albrecht's Duality rings for Chaos to Aether conversion, and dual Mindwarp for Physical to Aether. For Chaos to Aether using Clairvoyant's as suggested by Korsar, you can check on Kasatscho's thread. Last edited by TZ Tz; 08-11-2017 at 03:38 PM. I dont wanna hijack your thread but you wrote; "For Aether focus build, we go to Dual Wield Battlemage or may be Witchblade with Chaos to Aether Conversion." 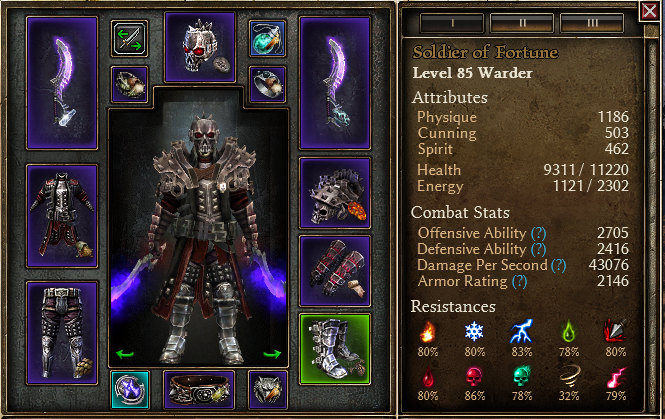 I just got my Battlemage to lvl79 and i made it because i had 2x Mindwarp. 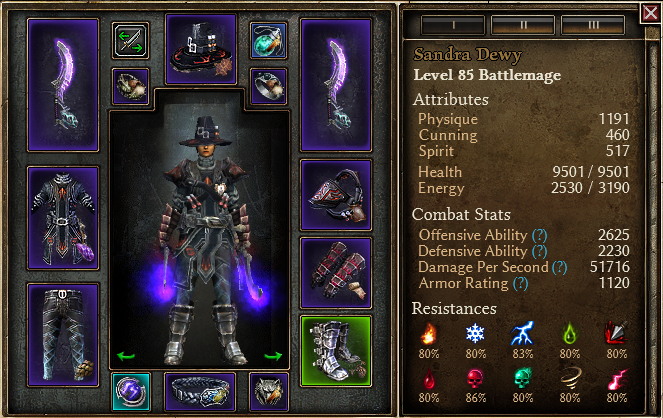 Do you mind posting me a grimtools-link with what you think the dualwield mindwarp battlemage should look like? 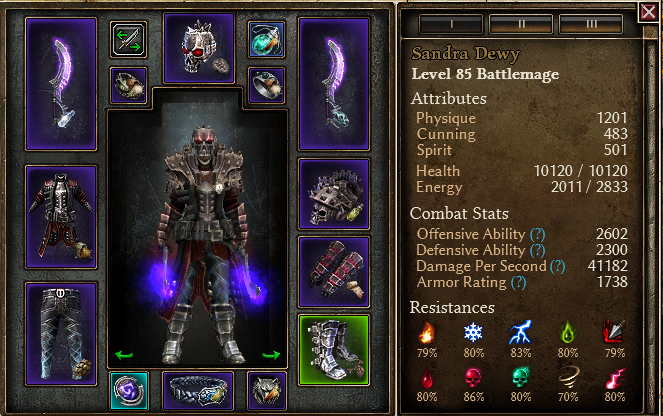 Idk the build seems out of place at some parts especially on the devotions. I'd rather focus more on one damage type instead spreading bonuses. I think OA is really lacking, i wouldn't mind on other build types like CT, casters but this particular one needs a lot higher OA imo. 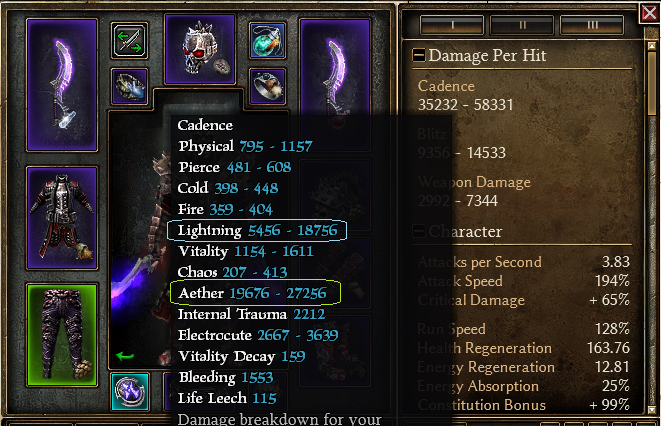 http://www.grimtools.com/calc/r2BYDKNA you can change boots with Golemborn and one component to cap resistances without any rares. 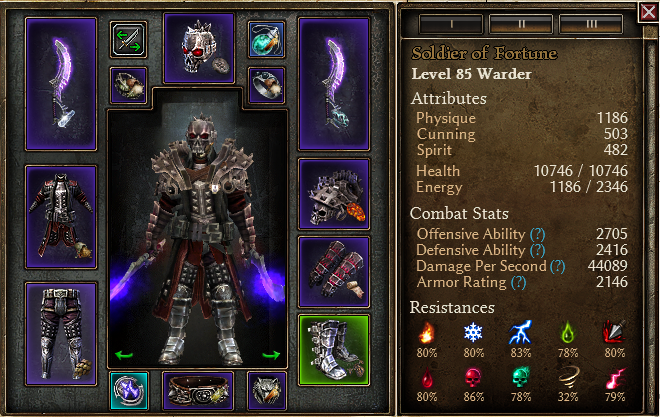 I use Warborn set in my build. Aether - Lightning, I just got inspired by Ceno's Zenith. Btw it's nice setup, has high OA and nice DA. Thanks alot for taking the time to help out! 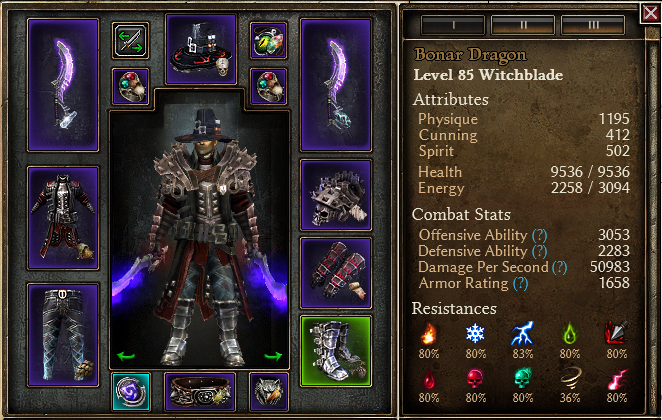 Gonna go for your build now, but also check out Kasatschos build later. I have had the same idea in my head for forever and a day.